*Please remember that Atlas Reactor is still in development, so the answers found here may change. Atlas Reactor is a free-to-play, competitive team tactics game from Trion Worlds. It’s a genre-defining new game that combines simultaneous turns with tactical team combat. The best way to understand what it is, is to play. When you do, you’ll jump into battle as any one of a growing selection of Freelancers, each with unique personalities, roles, and abilities. Once you enter the world of Atlas, you’ll rely on sharp weapons and sharper wits to outplay enemy teams in fierce multiplayer, co-op games, and custom matches. What was Free Mode 1.0? Free Mode 1.0 was part of an earlier release of Atlas Reactor, where gamers were allowed to play a weekly rotation of Freelancers in regular PvP, but were not able to purchase or earn individual Freelancers. After listening to feedback from the community, Atlas Reactor is now fully free to play. What if I played Free Mode 1.0? Any rewards that you earned while playing Free Mode are yours to keep. Now, you’ll be able to earn Flux as you play to purchase Freelancers, master skins, and mod tokens. You’ll also be able to play Ranked Mode after unlocking 10 Freelancers (including the ones in your free rotation). Can I play characters in-game for free? Atlas Reactor includes a Free Rotation that allows gamers to play as a range of different Freelancers for free. Freelancers can also be purchased directly, or with Flux, an in-game currency earned through regular gameplay. Yes. You’ll be able to purchase Freelancers with Flux, an in-game currency earned through regular gameplay, and through direct purchase. Additionally, every new player will get 1 Freelancer for free on their account just by completing 10 PvP matches. Are there bonuses for owning characters? Yes. The more Freelancers you own, the more bonus account and character XP you will earn per match, to a maximum of 100%. What if I owned an edition prior to the F2P update? If you own an edition of Atlas Reactor, you’ll still get every Freelancer, forever! Each one will be unlocked for you as soon as they’re released. In addition to that, you will also earn Flux from regular gameplay that you’ll be able to use to purchase master skins and mod tokens. If you became an Edition owner prior to the F2P update, you will also receive a special emblem, banner, and title in thanks for your support of the game. Are there advantages to being an edition owner? Yes. As an owner, you won’t have to wait to use and unlock Freelancers, new or old. You’ll also have enough Freelancers to play competitively in Ranked (as soon as you’ve played 50 PvP games). On top of that, each match you play will net you the maximum, 100% bonus to XP gains. Flux is an in-game currency earned through regular gameplay, such as playing and completing matches, finishing missions, and more. This currency is used to purchase Freelancers, master skins, and mod tokens. ISO is an in-game currency that is obtainable from Loot Matrices. Duplicate items received from Loot Matrices are automatically converted to ISO. Players can use ISO to unlock items in their Seasonal Collection directly. How much do characters cost? Freelancers of every role (Firepower, Frontline, or Support) come in a variety of price ranges, from $2.99 to $7.49, or 10,000 to 75,000 Flux. GG Boosts provide a bonus to the XP and Flux earned for completing a match. Use a GG Boost during a match and EVERYONE in the match gets a bonus! The user of the boost gets a larger bonus than the other players. GG Boosts also stack. The more GG Boosts used, the greater the total bonus for everyone. When 4 boosts are used (half the players in a PvP match), an extra bonus is applied. When all 8 players use a boost, an even bigger bonus is granted to everyone! Loot Matrices are progression rewards earned for every season level gained. 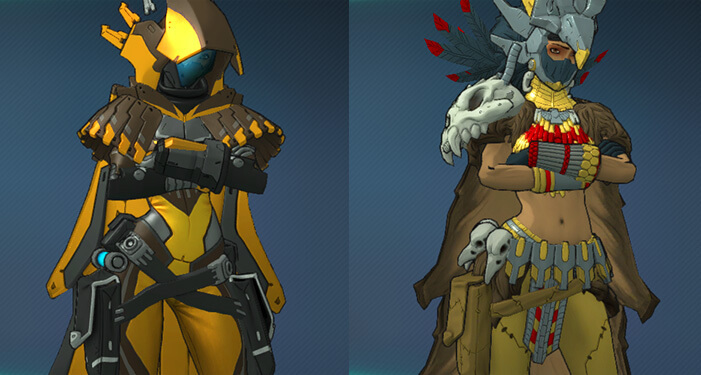 Typical Loot Matrices contain 3 items from the game, including banners, emblems, and skins, but excluding promotional content and newly released seasonal skins. Loot Matrices can also be purchased directly from the store. Mod tokens are used to unlock Ability Mods (which allow you to customize your abilities). They can be earned by leveling up characters. A Banner is the visual, in-game identifier for your account! It shows up in a variety of places, including scoreboards, friends lists, when you use taunts, and when you use GG Boosts. Banners consist of a background, an emblem, and titles, in addition to your Glyph tag. Backgrounds, emblems, and titles are all collectible and can be mixed and matched to your liking. You can get them in a variety of different ways, including loot matrices, account progression, Freelancer progression, and ELO rank. Skins are a customization option that changes the visual appearance of your Freelancer. They can encompass anything from pattern, texture, and color variants to full model changes. How do I use my emoticons? In the emoticon menu beside the chat box (represented with a smiley face icon), you can find all of the emojis available for you to use. You can also type the emoji’s tag into chat directly, found by hovering over the emoji. How many Freelancers are currently available? There are 31 Freelancers available to play! What happened to my items and progress from the Betas? There was a progress wipe at the end of Open Beta. In addition, any Loot Matrices you purchased and opened will have been returned to you. What happened to Credits I purchased in Closed Beta? During Open Beta, all Credits were converted into Loot Matrices equal to the number of Credits purchased, +10% (rounded up). 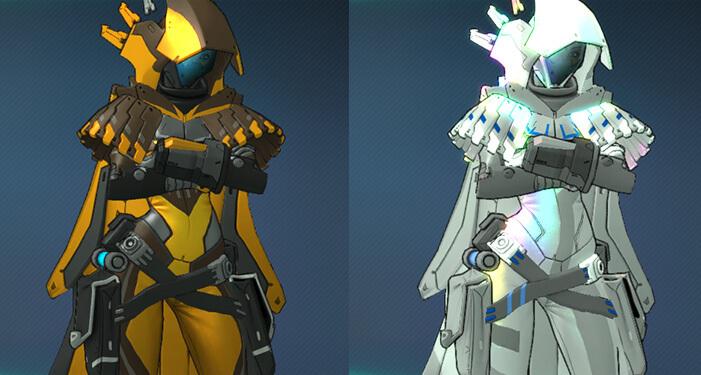 What is the difference between each Pack of Atlas Reactor? With each Pack of Atlas Reactor, you will be getting the full game (complete with every Freelancer, forever, plus all Game Modes and Seasons). However, with the All Freelancer Pro and Ultimate Reactor Packs, you will also receive a huge number of additional cosmetic upgrades and character customization options. For full details, please see our Store Page. What if I purchase a pack, but also purchased Freelancers individually? You will receive 1000 ISO for each Freelancer you’ve unlocked prior to upgrading to a full Edition. Unlocked Freelancers include any lancers you have purchased individually or have earned permanently on your account. It does not include Free Rotation lancers. If I buy a pack, when do I get my loot? If you purchase any one of our Atlas Reactor Packs, you will be able to access all of your pack’s items on your next login to Atlas Reactor. How do I get my Trion Worlds In-Game Loot for RIFT, Defiance, and Trove? The account you use to purchase a pack will automatically be granted each item. For RIFT, all you need to do is log in to your account and your Asana Sword and Rampart Shield will be waiting in your mailbox. For Defiance, you’ll find Zuki’s Helmet in the “Claim Item” section of the in-game Store. And for Trove, your PuP ally will be waiting for you in your Collections (under “Allies” and “Promo”)! Community Rewards are bonus levels of rewards that that were unlocked through Community Missions! Currently, these rewards were only available to Founders, but some of them may become available again in the future. How do I get my Community Rewards? Community Rewards were delivered to Founders between Sept. 30 – Oct. 3. How do I download Atlas Reactor? Download Atlas Reactor with Trion Worlds’ game launcher, Glyph. Once you’ve set up Glyph, select Atlas Reactor from your Game Library and install! Is Atlas Reactor available in any other languages? Yes! Atlas Reactor is currently available in English, French, German, and Russian.